We feel privileged to have been a part of the community for the past 36 years. Thank you to all of you who have passed through our doors over the years and shared our passion for the best Cantonese food. We will miss you all. Peter, Richard & the team, 1 July 2018. Charlie Chan is one of the oldest restaurants in Cambridge. 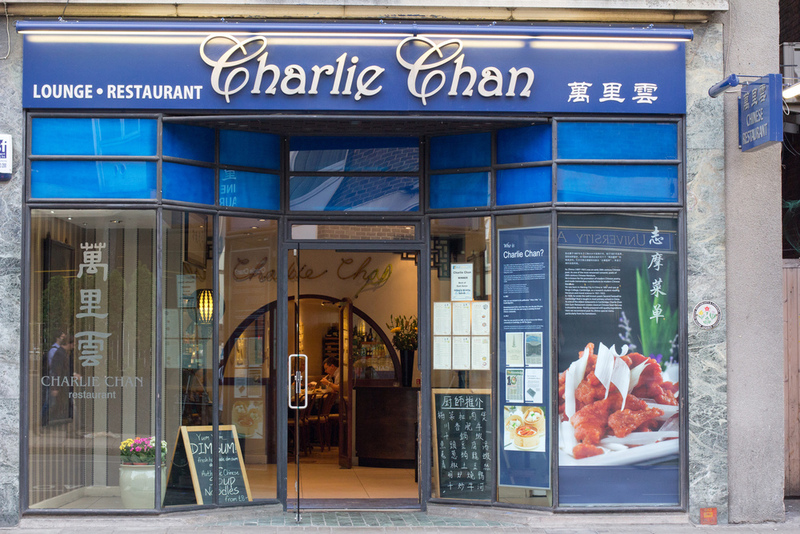 Our passion for authentic, home cooked Chinese food has established the restaurant as a firm favourite with the people of Cambridge and tourists alike. From 1966 to 1982 this restaurant was named The Pagoda Chinese Restaurant. 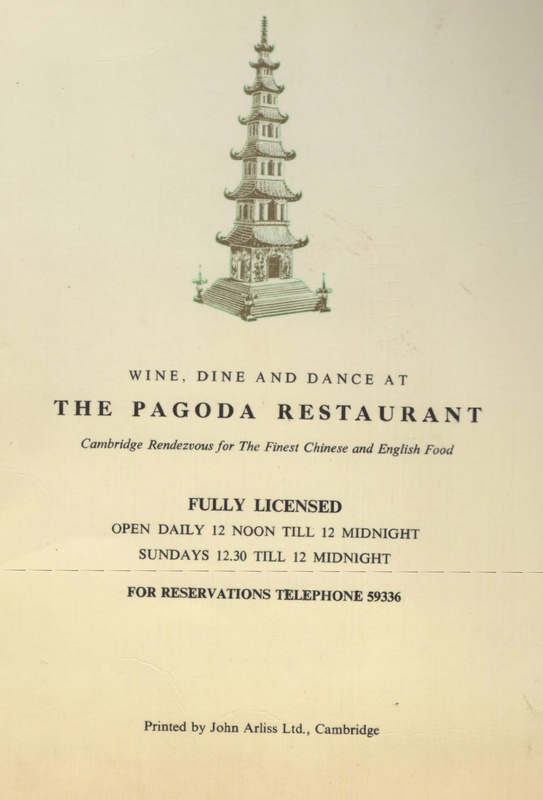 In 1982 London restaurateur, Peter Lee, took over The Pagoda and the restaurant was renamed after the new Head Chef and founding partner, Charlie Chan. Both Charlie and Peter arrived from London where Charlie was Head Chef at Peter's first restaurant, The New Leaf, in Ealing, west London. Over 32 years later, Peter and his team of loyal staff are proud to continue to be of service to the diverse community of Cambridge. Our long standing staff have built a lasting relationship with our regular customers. In 2014 Peter was joined by two new partners Mr Jian Hong Gu and Ms Jin Feng Geng. The partners and loyal team of staff extend a warm welcome to all our customers. Huaiyang cuisine originates from the dishes and cooking styles of Hua'an, Yangzhou, and Zhenjiang, cites surrounding the lower reaches of the Yangtze River. Traditional Huaiyang cuisine came into being in Ming and Qing Dynasties, which was particularly popular in the Qing Dynasty. Nowadays, Huaiyang cuisine has become a symbol of Chinese food culture, which plays a key role in the banquets for big events. Known as "a land of fish and rice" in China, Jiangsu Province highlights a grand variety of food ingredients, and the typical raw materials are fresh and live aquatic products. Other cooking ingredients are often carefully selected tea leaves, bamboo shoots, mushrooms, and pears. The flavor of Huaiyang cuisine is light, fresh and sweet and its presentation is delicately elegant. It stresses the freshness, exquisite workmanship, elegant shape, and rich culture trait. Traditional Huaiyang cuisine features delicate carving techniques. Typical cooking methods of Huaigyang cuisine include stewing, braising, steaming, quick-frying, stir-frying, and wine sauce pickling. Cantonese Cuisine, also known as Yue Cuisine, is the culinary style of Canton Province, in the south of China. As the most familiar style in the UK, Cantonese cuisine has become synonymous with Chinese food here. Steaming and stir-frying dominate, creating healthy dishes low in saturated fats. Cantonese chefs prefer the flavours of a finished dish to be well balanced and not greasy. Garlic, soy sauce, spring onions, rice wine, sesame oil and ginger are frequently used ingredients. Apart from that, spices are used in modest amounts to avoid overwhelming the flavours of the primary ingredients, and these ingredients in turn should be at the peak of their freshness and quality. Due to Canton's location on the southern coast of China, fresh seafood is prominent in Cantonese cuisine. Steaming is often favoured and only light seasoning is used to bring out the natural sweetness of the seafood. 'To touch your heart', as it is literally translated, is an apt description of the delicate, hand-made dumplings, buns and other items that make up the dim sum menu. This unique culinary art, from Canton in southern China, grew out of the tradition of 'yum cha', or tea drinking. 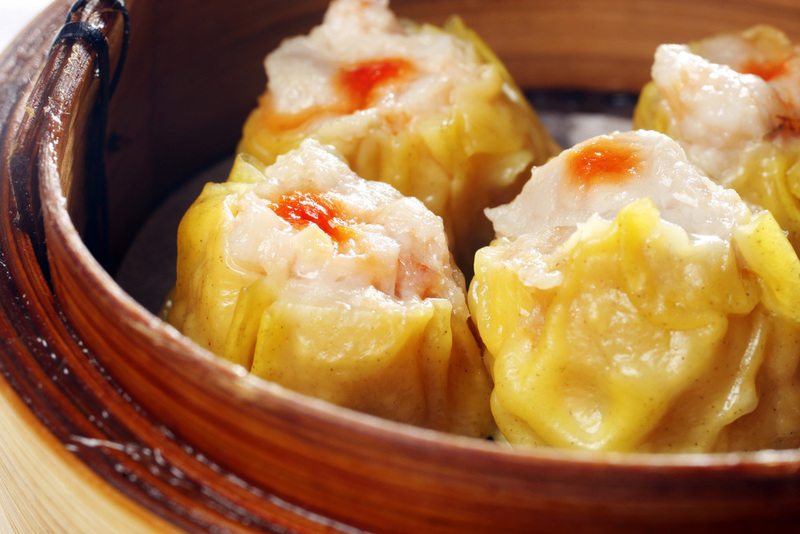 Dim sum is believed to have its roots in travellers on the ancient Silk Road who would stop at tea houses for rest and sustenance. 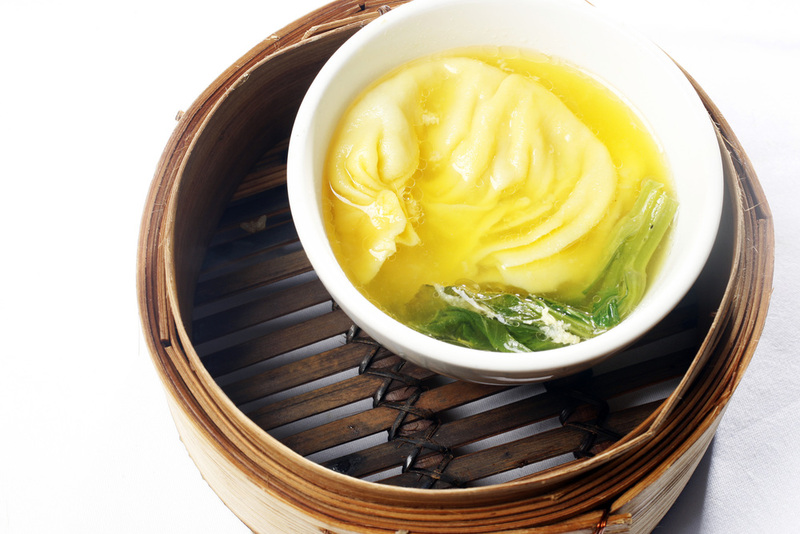 Typical of the ethos behind much of the food from the region, Dim Sum focusses on clean, delicate flavours. It is traditionally accompanied by copious amounts of Chinese tea.